The original store opened in 1971. That small store had 950′ and two employees. In 1986 the expanded store moved across the street. This was the store I hated. My memories of the Cherry Creek store: People bustling in from one of the various doors. You’d grab a map and have to hold it this way and that to figure out where you were since the mountains weren’t visible. (An orienteerer I’m not. I didn’t learn right from left until 6th grade and only know my way around Colorado when I am on one side or other of the mountains.) 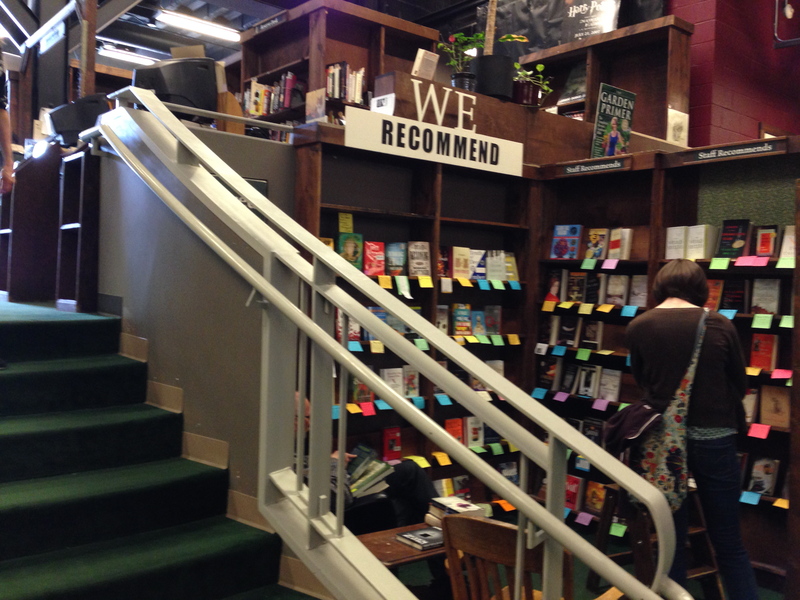 Then, usually up the wide staircase, which had books on the landings, books piled on the sides of the steps. Something would always catch my attention so I’d have to stop and skim it. Sometimes I’d get stuck in the magazine section, which included every conceivable topic in various languages. Too poor to buy a book? Try an obscure journal. This incarnation had four floors, with a well-liked restaurant, The Fourth Story, on the top. There were information desks on each floor, chairs tucked in corners, and people everywhere. The lower level held the smell of coffee from the busy coffee bar. Six miles of shelves! You could get lost, and pre-cell phone days, you might wander for hours amongst those 150,00 titles, looking for the person you arrived with. I was overwhelmed, and remember plopping myself down, depressed that I could never read all the books, not even all the books that sounded really good and interesting since a good half of the titles would have met those criteria. Scanning the wall of recent arrivals, I despaired I’d never have a book displayed there. Unless I went into the store looking for a particular title, or had narrowed down what I wanted to a particular topic, it was too daunting to enter. Of course, a normal trip resulted in a large purchase since no matter how determined I was to buy just one title, something else jumped out as a must read. When the branch store opened in LoDo, I liked shopping there better. It still had a ton of books, three floors (since consolidated to two) with books displayed or stacked on the landings, the wall of recent arrivals, and lots of magazines, but its smaller size felt more manageable, and you could met up at the coffee bar since it normally was less busy than the other store. Since the Cherry Creek store closed in 2006, I’ve mostly shopped at the Colfax location. The new Colfax store has two floors, with fewer nooks and hiding places but now it has history as it resides in the renovated Bonfils-Lowenstein Theater. The building had been vacated about twenty years before it was converted to a bookstore. Udi’s Cafe faces the side street, with a coffee shop in the opposite corner. The website says there are about the same number of titles as in the old store, although the open space makes the overabundance of volumns look more manageable. This store has very tall shelves, but preserves many of the historic details of the old theater. I wasn’t aware of some of these features until I read the website. Most of the books are shelved in the proscenium. A bank of theater seats, as well as many other chairs, remains for reading pleasure. 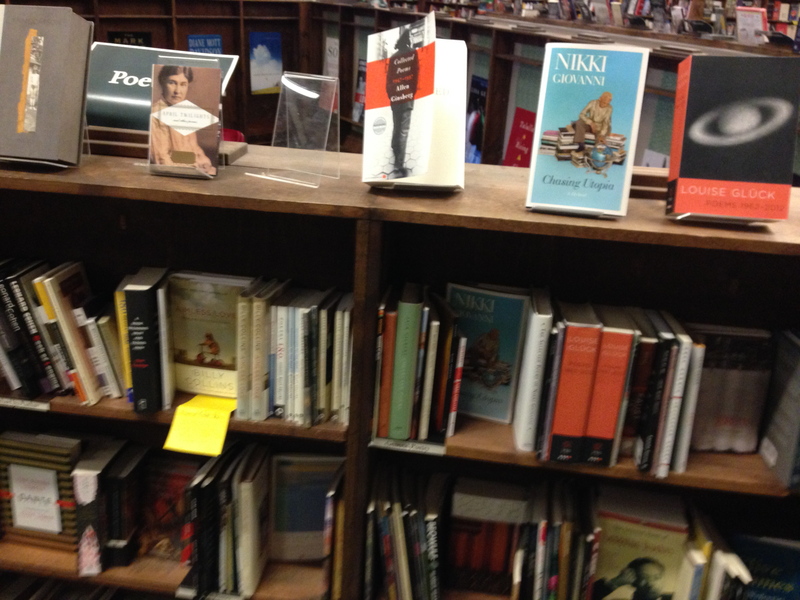 A new feature is used books commingled with new titles. On my recent trip I bought a used title, two discounted books I’ve been meaning to read, a discounted French Vegetarian paperback, and a hardback hot off the presses. 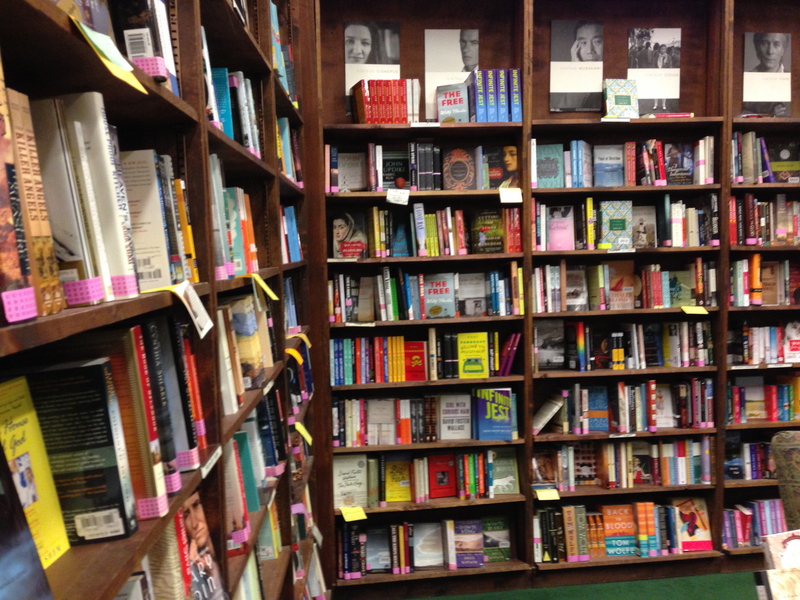 Travel and Leisure Top Bookstores. This entry was posted on May 12, 2014, 10:50 am and is filed under Reading. You can follow any responses to this entry through RSS 2.0. You can leave a response, or trackback from your own site. Just talked to a friend about her fishing husband. I had to tell her about a book title I pointed out to my husband while at the Tattered Cover–All Fishermen are Liars. 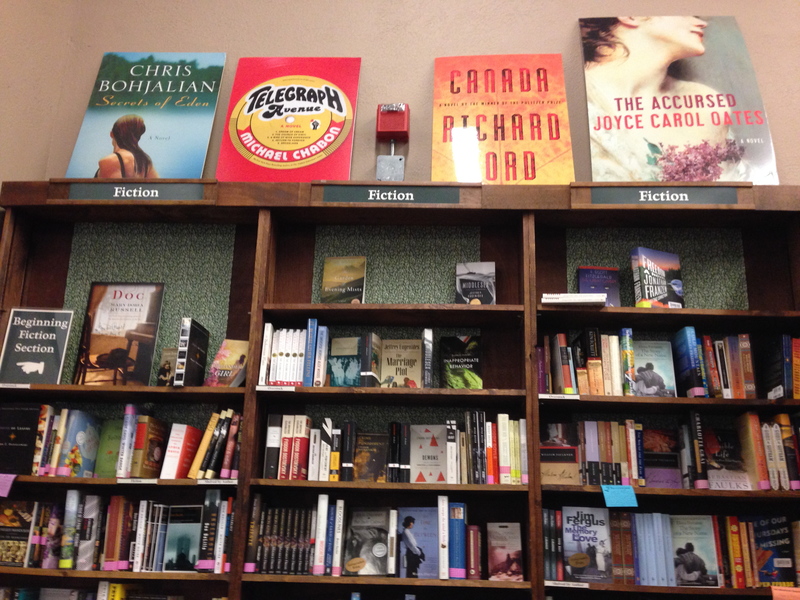 He says that’s why he hates the Tattered Cover, exposing the truth that way. I wonder if David Bowie still shops there. 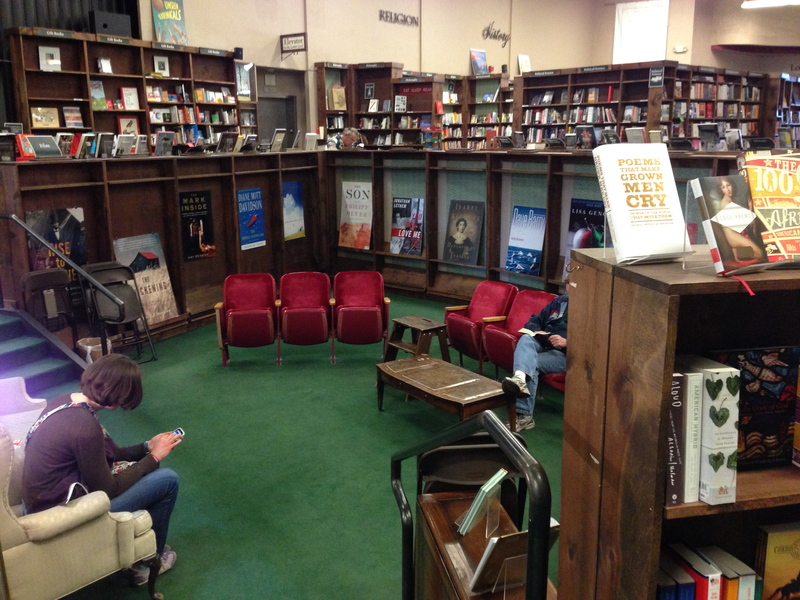 He once said in an interview that he loved coming to Denver, because he always spent at least a couple of hours in the Tattered Cover. It would be cool to run into him there if he does, like seeing Lyle Lovett in Santa Fe. 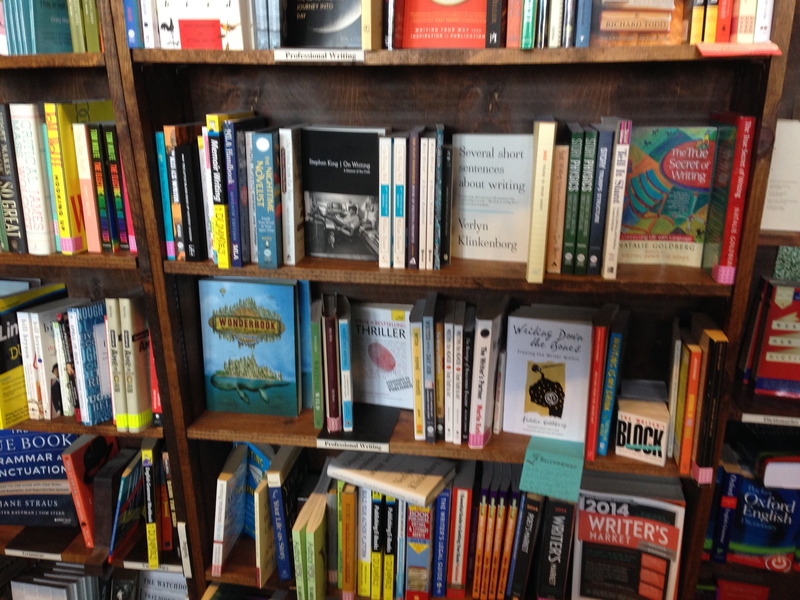 I like The Collected Works bookstore in Santa Fe, too.